I’ve mentioned Mixko before and their dreamy cloud necklace but the item that first drew me to their Etsy shop was this unique and smile inducing Here Comes the Sun necklace. I wasn’t sure if in the flesh the quirky plastic dove would look tacky and the delicate ribbon rainbow too delicate. But when it arrived (very speedily) the classy packaging reassured me that Mixko know design. Their necklace is delicate and light but very well made, the dove elegantly flies across your neck and the ribbons sit perfectly one underneath the other. 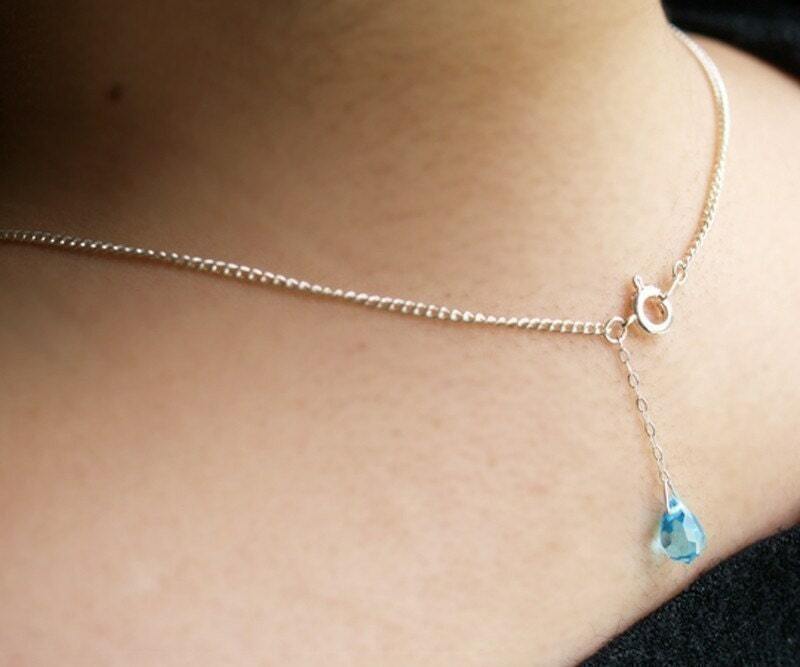 The final piece of wonderful design is the ‘last drop of rain’, a single blue Czech crystal bead that hangs down the back of your neck from the clasp. 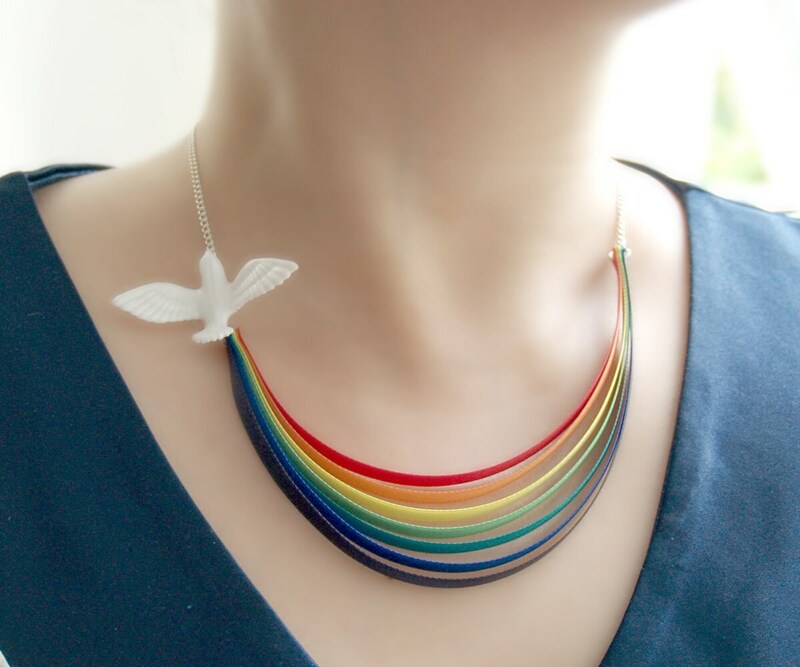 This necklace brings a splash of colour and character when worn and has been admired by everyone I’ve seen when I’ve worn it, even my goth daughter! When I ordered this it was supposed to be a present but I guiltily kept it for myself. I’ll have to order another for the original recipient, but at less than £20 it’s affordable and as Mixko give 20% of their profits to victims of the Japanese earthquake I can feel that by nicking someone else’s present, I am in fact doing good.